As much as I couldn’t be bothered for all of the fuss of holidays, there is one day in particular I do enjoy. It’s not Christmas, it’s New Years. A moment to pause and reflect. Time to recognize that another year has past, and you should try to figure out just what the hell you made of it. It’s around this time of year I stop and ask myself, What did I do wrong this year? What did I do right? Where am I going from here? As an eternal student, I’m trying to always better myself, so that last question always hangs in the air a little longer than the others. What’s next? Where am I going from here? Maybe that’s the part of it that has a calendar mark of a new year celebrated by so many different cultures and religions. You can make it a fresh start. Now is the time to change those habits. Now is the time to leave that thing, or that person, in the past. You can leave whatever you want behind. You can take whatever you want forward. For my part, it’s been a year of growth. It’s been a year of trying to come to terms with the mistakes and missteps of a younger me. Trying to apologize to silence, for things everyone but me seems to have forgotten. This year I learned that sometimes the next step is learning to let go and forgive yourself. I’m still working on that. What I didn’t work on enough this year was this site. Ecommerce from YouMotorcycle.com/shop was up, but I didn’t hit my goal of articles published on the site. My spare time and energy were focused on additional home renovations, and launching a new side business. Somehow, I found one more way of helping motorcyclists, although this time I’m managing to make a few bucks while doing it. 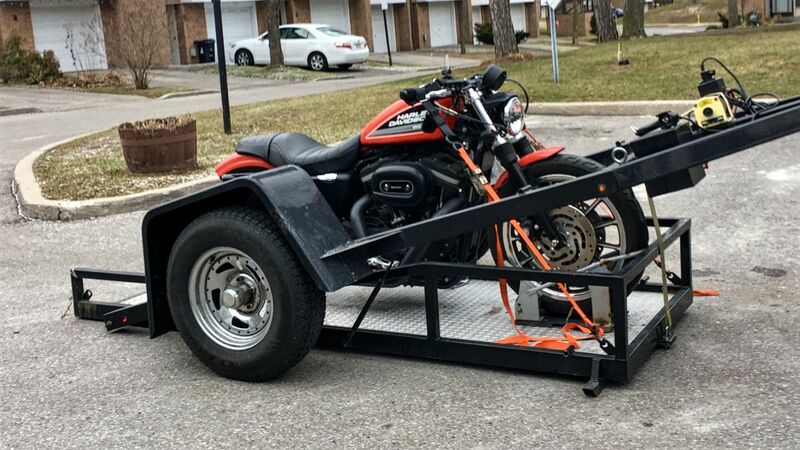 The business is called Motorcycle Towing Toronto. I offer the best professional rates in the city for motorcycle towing. It’s been an absolute blast. Words can’t describe the feel-good vibes you get from helping a woman covertly buy her husband his first motorcycle. I’ve even secretly smuggled a motorcycle into a building (reverse-stealing) for a girlfriend who just bought a bike for her boyfriend. 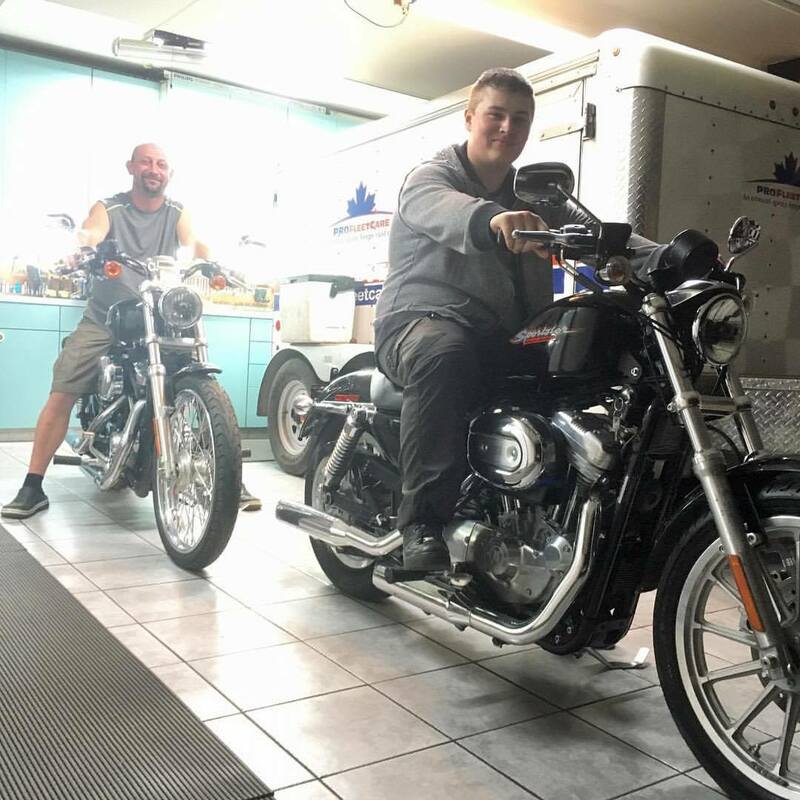 Best of all was when I delivered a pair of Harley-Davidsons to a father and son duo who were getting into motorcycle riding together. Their faces lit up when they saw me pull up. Just being able to play a small part of that was special. It wasn’t all work though. I decided to reward myself. When I first started working in the motorcycle industry my boss reprimanded me for not having any personal belongings in my office. The first thing to go up was a poster of a Harley-Davidson V-Rod. That was the bike I dreamed of. Later on I would buy a painting of that same bike, and it hangs over my bed. 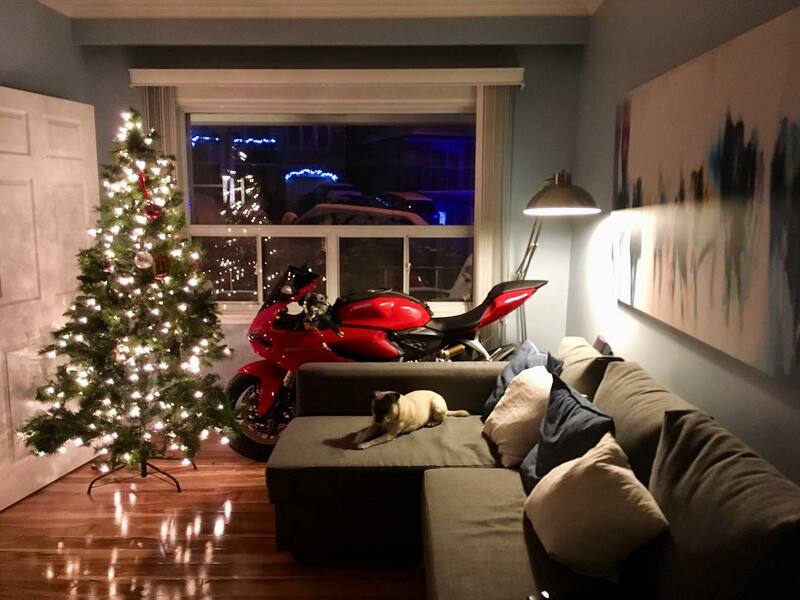 This year, I finally bought (and love) that motorcycle. What’s the sense in always working if you don’t enjoy the fruits of your labor, right? Of course, we’ve still got one question left, don’t we? Where am I going from here? I want to continue trying to inform or at least entertain you guys with valuable, relevant and interesting articles. I’m kicking that off by publishing the first post of a four-part motorcycle biz series later this week. The series will look at the biggest threat to Harley-Davidson in the market today, and no, it’s not Indian. I also want to do a better job of communicating to you guys about the crazy sales we sometimes have on gear in the YouMotorcycle.com/shop, and getting back in touch with some of you that I haven’t heard from in a while. Curious to know what the biggest threat to Harley-Davidson is? Be sure to get on our mailing list to follow that series as it rolls out. I’m throwing in a ton of info from industry and investor reports, periodicals, web pages, census data, and more. Get on the weekly list to get it. Do you reflect on your journey around the sun every year? Are you happy with where it took you? What are you looking to change or improve on in 2018? I wish you guys all the best, so please leave a comment so I know you’re still alive! Adrian, you’ve got a down-home and honest take on this industry while remaining a little out there in a refreshing way. Good luck in 2018. PS I know what the biggest threat is to Harley, me. 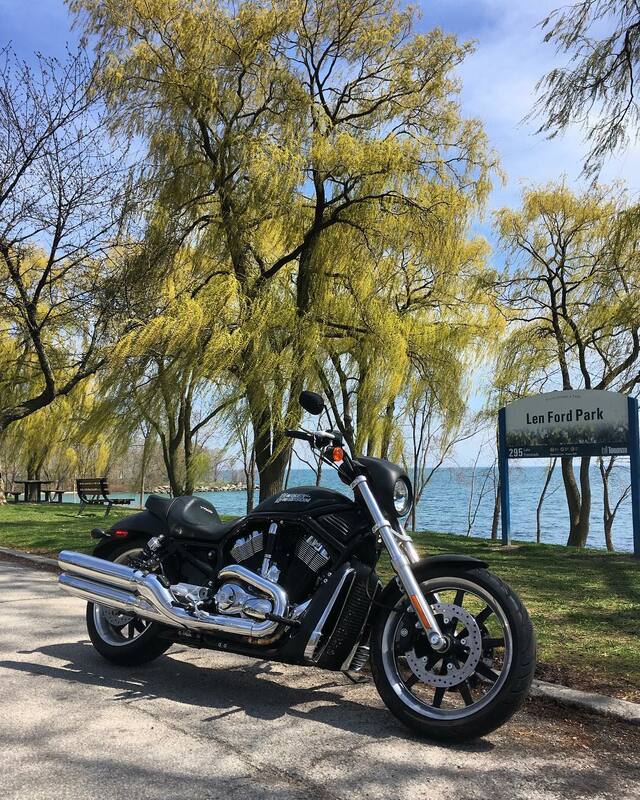 Do a test ride some time on the new HD Fat Bob, which appears to be their attempt to address the problem you are going to tell us about. Thanks Jefe. Good to hear from you again! You’re definitely a threat to Harley, and maybe even to motorists everywhere haha. Best wishes to you and yours in 2018. Respect from your northern brother!